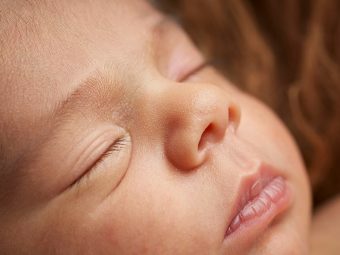 What Causes A Hoarse Voice In Babies? How Is Hoarse Voice In Babies Treated? It is such a joy listening to your baby’s voice, whether they’re cooing or speaking adorable gibberish. Naturally, you start to worry when the child’s voice becomes hoarse, rough or even inaudible. A baby’s voice is said to be hoarse when it sounds raspy or rough. A hoarse voice in babies could be due to many reasons, from something as simple as strained vocal cords due to excessive shouting and crying to some health issue. Read this MomJunction article to know why the baby’s voice can go hoarse, how to treat it, and if you can prevent it. Upper respiratory system infections: Several upper respiratory system infections can result in an inflamed larynx (also called the voice box). This leads to the swelling of the vocal cords that lie within the larynx, and the swelling causes a hoarse voice. Cold and croup are two such common infections that can cause hoarse voice in babies (1) (2). Several pathogens can cause laryngitis (swelling of the larynx) and pharyngitis (swelling of the pharynx) that can also lead to a hoarse voice (3) (4). 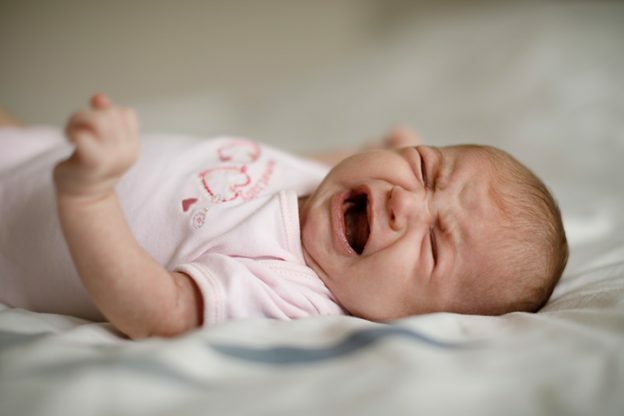 Excessive crying: Colicky babies tend to cry more than the others, and strain their larynx, leading to a hoarse voice. Excessive shouting: Older infants and toddlers experiment with their voice, and often these experiments are noisy! Constant screaming and yelling can tire and dry the voice box, affecting their voice. Acid reflux: Frequent acid reflux to the throat can irritate the vocal cords (5). Babies with gastroesophageal reflux disease have a higher chance of getting a hoarse voice. Allergies: An allergy can cause excess secretion of mucus in the nasal cavity. The mucus can drip into the throat and irritate the vocal cord. Allergies can also inflame the vocal cords, resulting in hoarseness of the voice (6). Vocal cord lesion: Vocal cord lesion is a collection of harmless and benign growth, such as nodules, polyps, and cysts, on the cords. Nodules occur due to the overuse or injury of the vocal cords. Polyps and cysts are growths on the vocal cord tissue (7). Irritants: Smoke from automobiles and cigarettes can also cause vocal cord irritation. Excess drooling due to teething can also irritate the vocal cords, thus causing a hoarse voice. In rare cases, a hoarse voice could also be due to tumors within the larynx. To know the exact cause, visit your doctor. The baby has a weak voice that does not seem to get better, or the voice stays hoarse for several weeks. Makes no sound while crying or makes a sharp, abnormal sound while crying. Has a swelling or a lump in the throat. Has a sore throat that lasts a long time. Coughs continuously and it does get better. Has trouble while breathing and makes wheezing sounds while breathing. Loses their appetite or has a problem while swallowing. Has blood spots in the sputum and saliva. The doctor will diagnose the underlying cause of hoarseness by inspecting the baby’s throat. Blood and sputum test may be needed for diagnosing infections. Once the diagnosis is confirmed, the doctor will prescribe the necessary course of treatment. 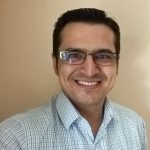 Addressing the infection: Antibiotics and other medication may be used to cure the infection that caused the swelling of the larynx or the pharynx. Treatment of reflux: Curing gastroesophageal reflux disease can help provide relief from hoarse voice. Cases of acid reflux in babies can be treated with the use of medicines, lifestyle and diet changes. 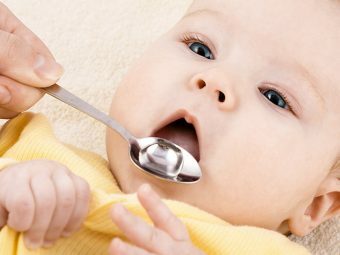 Treatment of vocal cord lesion: Vocal cord lesions can be treated by resting the vocal cord, using oral medicines, and voice therapy in the case of older toddlers. Cases of vocal cord cysts may require surgical removal. Hoarseness of voice can be highly irritating for the baby. You may alleviate the discomfort, before or during the treatment, with the use of natural remedies. 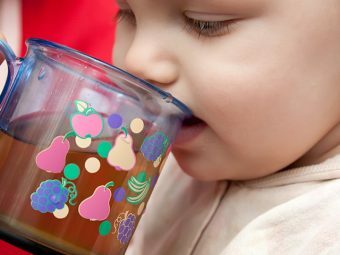 Keep the baby hydrated: Increase the number of breastfeeding sessions or give more water to sip frequently if the baby is older than six months. Keeping the vocal cords hydrated can reduce the hoarseness of voice and help the voice box to return to normalcy. Use a cool-mist humidifier: A humidifier pumps water vapor into the ambient air so that it does not dry the throat and airways. Medical experts recommend the use of humidifier during throat problems since it prevents drying up of the vocal cords. Only use a cool-mist humidifier and not a steam/hot-mist humidifier, which increases the risk of burns. Avoid allergens and irritants: If you know the baby has allergies, then keep them away from potential allergens. Babies and toddlers should be kept away from pollution too. Do not let anyone in the home smoke and avoid going to places where the baby will be exposed to tobacco smoke. Control colic and restrict vocal cord overuse: If the baby cries a lot, then try swaddling and relaxing them with a lullaby. Older toddlers may be taught to speak softly until the vocal cord gets better. You can offer incentives to the toddler for being silent. You may also try to keep the toddler occupied with games that require silent play. Maintain good hygiene and vaccinate: Babies and toddlers should wash hands after outdoor play. Keep the baby’s surroundings clean. If someone has a cold in the family, then they must keep away from the baby. Vaccinating the baby is also essential to avoid infections such as cold and flu that can cause a hoarse voice. Take precautions to prevent hoarseness in your baby’s voice. 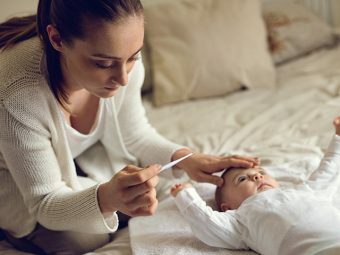 However, hoarse voice seldom leads to any serious health issues, and your baby will start feeling better soon after the initiation of the treatment. Talk to your doctor before using any herbal remedies for treating hoarse voice in the baby. What did you do to prevent hoarse voice in babies? Tell us in the comments section below.